Our main goal is to serve you in helping you succeed – both now and in the future. 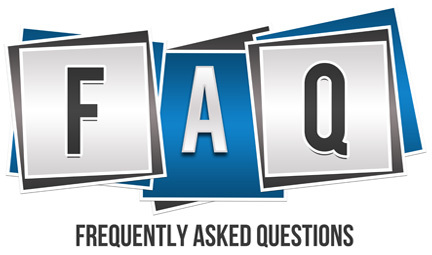 We’ve compiled some frequently asked questions and provided answsers to help you in your decision making process. How much income would be needed by your spouse & dependents to maintain their lifestyle after you’re gone? INCOME NEEDS: Based on a Government study by the Bureau of Labor Statistics, two income families need 70% of the gross household income that may permit a family to “remain in thei own world” after the death of a wage earner. In addition, assumption is the mortgage on the residence is paid or a rent fund has been established, and educational expenses are provided for separately. What is buying Life Insurance really for? To replace the family income lost at your death. To pay off the mortgage on your home or to provide a rent fund..
To have a prepaid college fund for your children. This gives you the security of knowing that your surviving spouse and family are taken care of and it gives your dependents the peace of mind knowing that their lifestyle will continue after you’re gone. What is the role of Annuities in Estate Planning? Annuities offer two key advantages that can come into play as you plan your estate: speed and privacy. Both of these derive from the fact that you can designate one or more beneficiaries for your annuity, rather than having your annuity made payable to your estate. When you die, your annuity proceeds are quickly paid to your beneficiaries, usually without the delays and expenses associated with probate. Thus, if it is important to you to quickly pass money to your beneficiaries, an annuity can accomplish that for you. Also, because the proceeds are passed to the beneficiaries, they bypass your will. If there are certain assets that you want to privately pass to certain beneficiaries rather than have them pass through the relatively public process of probating a will, an annuity can accomplish that for you, too. Retiring in the 21st Century: What does it take? Notice that 63% of today’s retirees are counting on pension plan payments to cover their living expenses, but only 21% of today’s workers are covered by a traditional pension plan, and the percentage is dropping every year. At the same time, Social Security is under tremendous financial pressure due to the impending retirement of the Baby Boom generation. Thanks to the recession, 2010 is the first year in history that Social Security will pay more in benefits than it collects in taxes, and the Social Security Trust Fund is forecasted to be exhausted in just over 25 years. Thus, it is clear that to have a financially secure retirement, today’s workers are going to need to save more on their own for retirement than did today’s retirees. As they enter retirement, they are going to need to figure out the best way to turn that retirement savings into a reliable retirement income. Fixed annuities are a wonderful product for people to consider using. They are the only products that allow individuals to accumulate retirement savings, protect those savings from market losses, and turn those savings into a guaranteed income for life.